Flyme is a nice looking skin, they should not go for pure android but rather update their global flyme firmware more often. 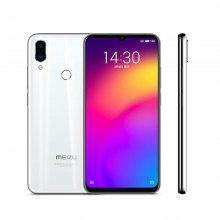 I have Meizu X8 and its a great phone for the price, however, I feel that the UI speed is good but not on par with MIUI due to lack of proper optimization. I also have a Redmi Note 5 and that phone feels as fast as X8 despite the vastly better SOC on the Meizu (SD636 vs SD710). However I still prefer the X8 over Note 5 thanks to the better design, build and screen on the Meizu. A lot of these companies have the same problem. I can only assume for the Chinese market they love these skins but if they went pure or even the one plus route, they would surely dominate the market. I do not know one reviewer that has ever said they prefer these UI’s. For example, the Xiaomi Mi A2 is a basic phone but so smooth with Android One. If they used this on the flagship models I would not hesitate to buy. Any chemically strengthened glass protection they implemented in the screen ? Fully agree. 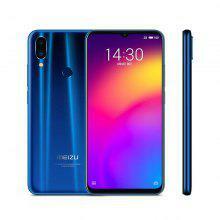 Meizu released some beautiful devices with great specs last year (16, 16X, 15) but the software seems to be a major turnoff. Hardware is spot on though. that notch ho much space it doesn’t take is really awesome!!! Love your reviews, refreshing take. Great job! Maybe same with the sd 820 but not the sd835! does it support gcam? and if it is,does it improve the quality and also how it performs with it vs redmi note7/7pro?